Sell My Galaxy Tab A 8.0 | How Much is My Galaxy Tab A 8.0 Worth? Select the information above in order to receive an accurate quote for the Galaxy Tab A 8.0 you want to sell. Click sell item if you agree with the price that is displayed. GreenBuyback purchases cell phones, tablets, and laptops at the highest prices in the industry! GreenBuyback pays cash for your old cell phones, tablets, and laptops. When you sell your cell phone, tablet, or laptop to GreenBuyback you will never have to pay shipping. GreenBuyback is dedicated to maximizing the cash back to our customers. 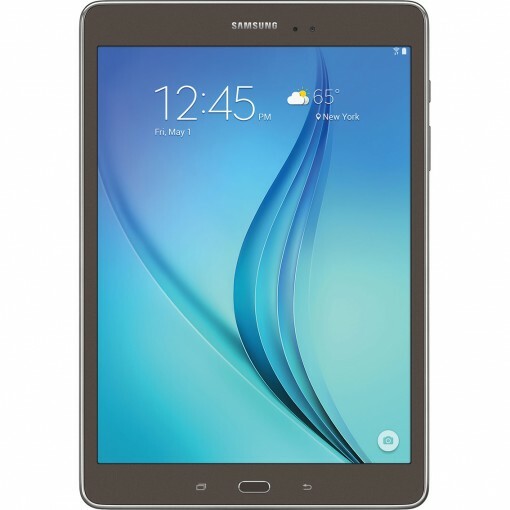 Sell your Galaxy Tab A 8.0 for cash today! Samsung announced the Tab A in March 2015 and began selling the tablet on May 1, 2015. The Tab A series was a high end tablet; The Tab A comes in Wifi only and Wifi/4G/LTE configurations. It was originally released with the Android 5.0 Lollipop operating system. Samsung further customized the tablet interface with it’s patented TouchWiz software. Selling a Galaxy Tab A is so easy with GreenBuyback; send your Galaxy Tab A to GreenBuyback with free shipping and you’ll get cash sent to you fast! The Tab A has storage options of 16GB or 32GB with the option to add up to 128GB through the microSDXC card slot. A 5.0 megapixel camera is in place on the back of the tablet and a 2 MP front facing camera. The tablet weighs slightly more than half a pound; 0.69 for Wifi only model and 0.699 for Wifi/4G/LTE model. The Tab has a battery life of 4,200 mAh which is appealing for working on the go. GreenBuyback will buy your Galaxy Tab A in any condition, even broken! Simply head to GreenBuyback to get a quote, send your Galaxy Tab A in, and get cash quick!